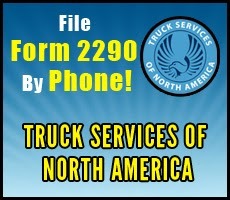 As a premier processing agency, Truck Services of North America can file your Form 8849 for you. TSNAmerica takes the paperwork out of your way. Check out all our services at TSNAmerica.com and fill out the Service Request Form, email us at support@TSNAmerica.com or call 803.386.0320.